Receiving regular dental care is vital to achieving good oral health, but sometimes fear and anxiety can cause patients to neglect their bi-annual dental appointments. You should not have to avoid the dentist due to dental anxiety, which is why Drs. Lafferty & Bleak provide oral conscious sedation for their Albuquerque patients. Dental sedation helps patients achieve optimal oral health without any additional stress. Sedation dentistry has created a way for patients with dental anxiety to receive a dental exam, cleaning, or more complicated procedure in a relaxed manner. Typically, patients under sedation experience heavy drowsiness but are still conscious during their procedure. Patients feel no pain under sedation and usually cannot recall many details afterward. 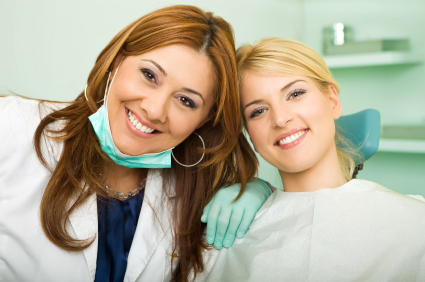 Dental sedation eliminates anxiety for the patient and also allows the dentist to perform treatment safely. How Can Oral Conscious Sedation Help Dental Anxiety? Drs. Dan Lafferty & Mark B. Bleak offers oral conscious sedation for their patients, which comes in the form of a pill that is taken at least one hour before treatment. Oral sedation dulls the senses, meaning the patient has hardly any memory of the smells, feelings, or noises during treatment and perceives their appointment as taking a short amount of time to complete. In order to ensure a patient’s utmost comfort, the dosage of sedation is regulated throughout the procedure and adjusted if necessary. During your initial consultation, Drs. Lafferty & Bleak will perform a comprehensive evaluation, taking into consideration your medical history. If you are a candidate for oral conscious sedation, you will be prescribed a medication to take before your scheduled appointment. It is important to have a friend or family member assist you to and from the dental office – this ensures your safety while under sedation. Your oral health should not have to suffer because of your dental anxiety. Drs. Lafferty & Bleak and his dedicated team can make your dental experience positive and gentle so that you can receive high-quality dental care and achieve a healthy smile. For more information about dental sedation or to find out whether oral conscious sedation is right for you, contact Drs. Lafferty & Bleak in Albuquerque and schedule an appointment today! We look forward to providing you with a comfortable environment while you receive the dental care you deserve.